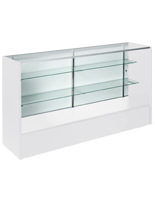 Adjustable shelves accommodate products of varying heights! Melamine panel construction is a great alternative to pricey real wood showcases! Showcases ship unassembled, saving hundreds on assembly and transport charges! 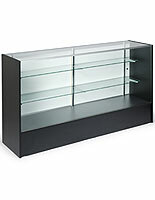 These showcases will complete the look of your retail store! 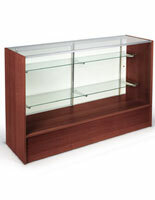 Display cases, showcases can be used to store and display hundreds of items from perfume, jewelry, or handbags to candy, electronics, sports memorabilia, artifacts and more! Theses 6' long showcases feature a warm, honey maple finish to complement nearly any décor or decorating scheme. 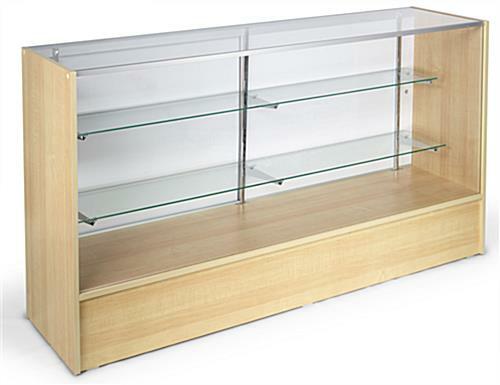 The showcases are equipped with many great features to make them the ideal showcases for a retail store, gift shop, museum, business or school lobby, Hall of Fame, or much more! 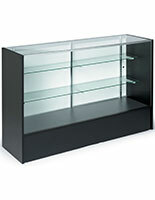 These showcases are crafted from melamine panels, tempered glass, and anodized aluminum extrusions. All of these materials offer long-lasting durability without a high cost. Melamine panels are an excellent alternative for showcases, in comparison to real wood panels. 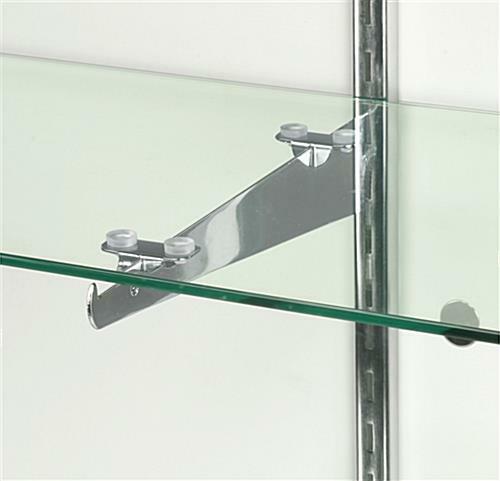 Tempered glass is much harder to break than traditional glass and if it does happen to break, it will shatter into small, manageable pieces, rather than large dangerous shards. 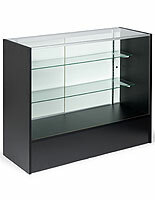 The showcases, also known as glass displays, have anodized aluminum extrusions, rather than cheap plastic extrusions. 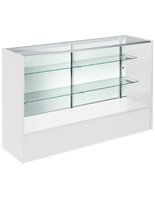 The glass displays feature adjustable-height shelves to accommodate varying product lines or seasonal displays. 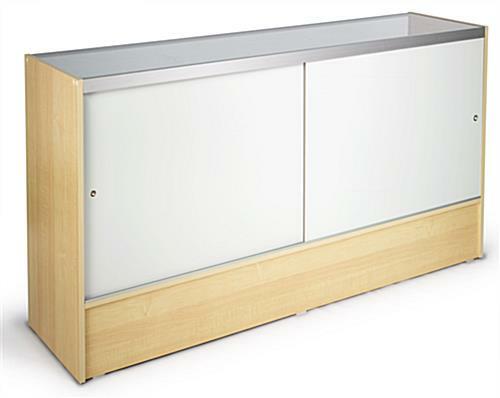 Solid hardboard doors slide open to allow easy access to displayed merchandise. 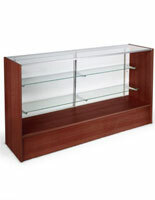 These showcases are shipped unassembled to save you hundreds of dollars on warehouse assembly and shipping costs. Assembly is simple but does require two people. 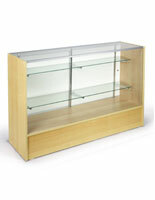 We have created an easy-to-follow assembly video, outlining the steps to completing the assembly of your showcases. Ordering unassembled showcases also means that you will get the showcases faster, as these will ship out today if you order before 3PM EST!